As the wind chill temperature continues to drop, I thought I’d make a recipe from a place we often enjoy in the summer: Lake Superior’s North Shore. 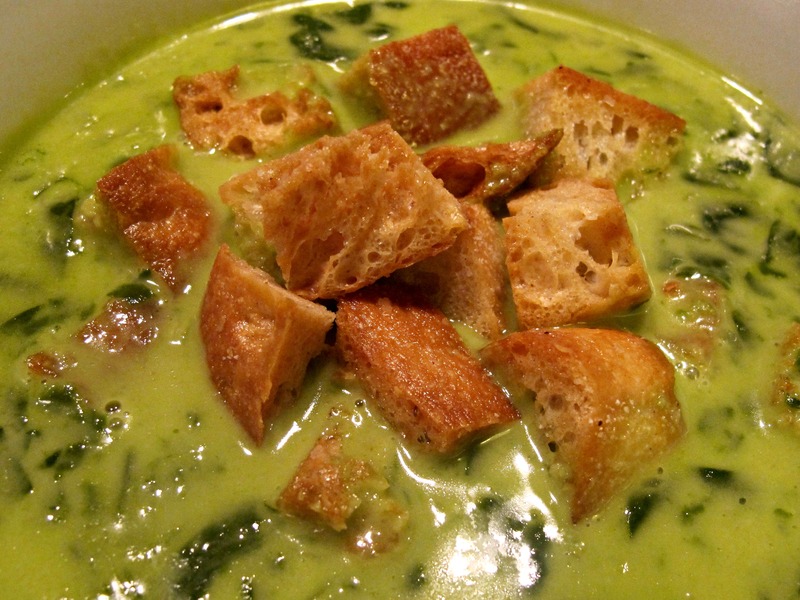 This soup is one of many delicious soup recipes included in The Gunflint Lodge Cookbook, by Ron Berg and Sue Kerfoot. The Gunflint Lodge is a well-known resort and restaurant just north of Grand Marais, Minnesota. 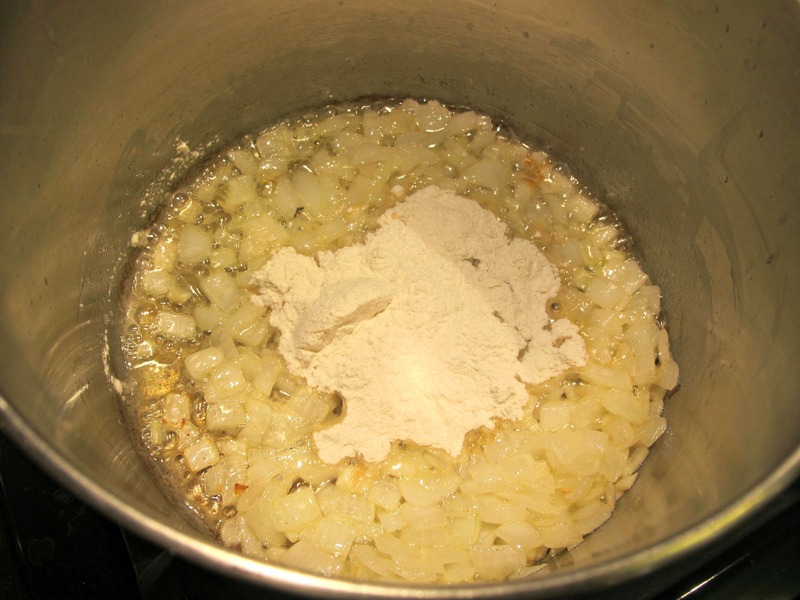 In a medium soup pot, cook the onion with the butter until translucent. Add the flour and stir to combine. Cook for a minute and whisk in the stock. 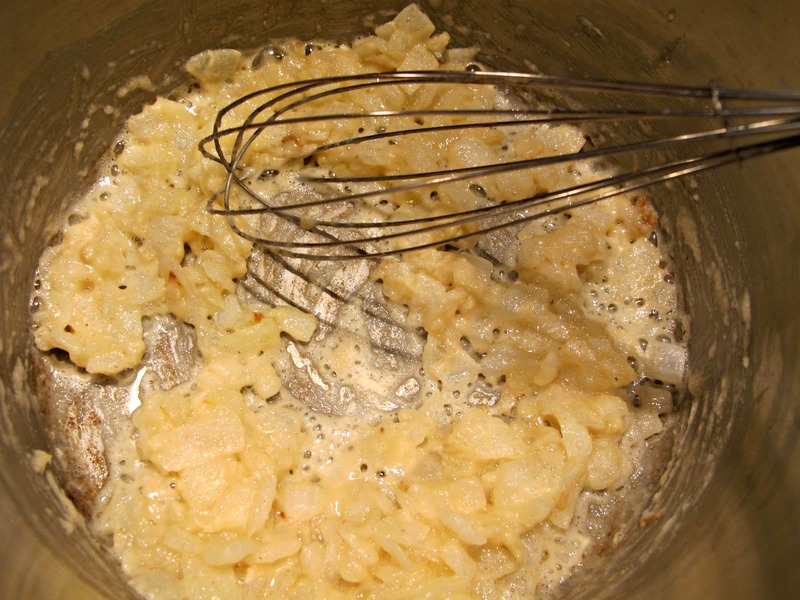 Bring to a simmer over medium heat and continue stirring until the mixture thickens. 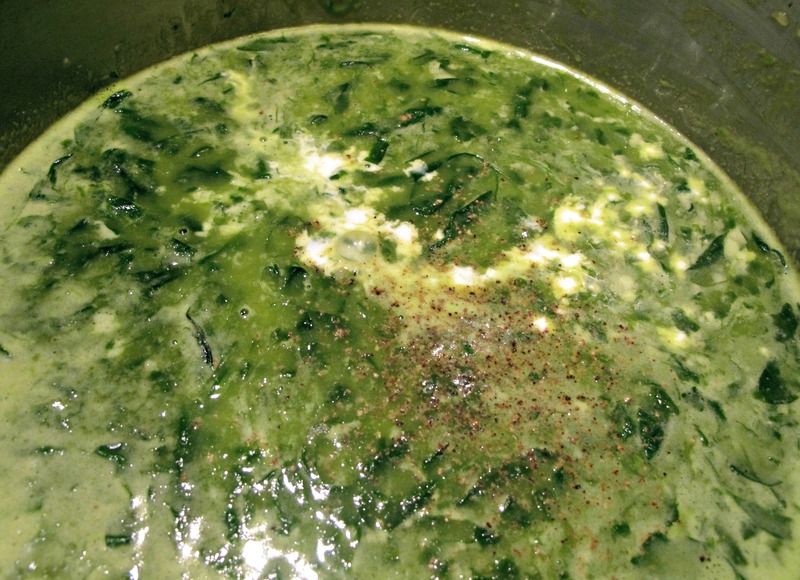 Add the spinach, stir and remove the pot from the heat. Let it stand for 10 minutes. 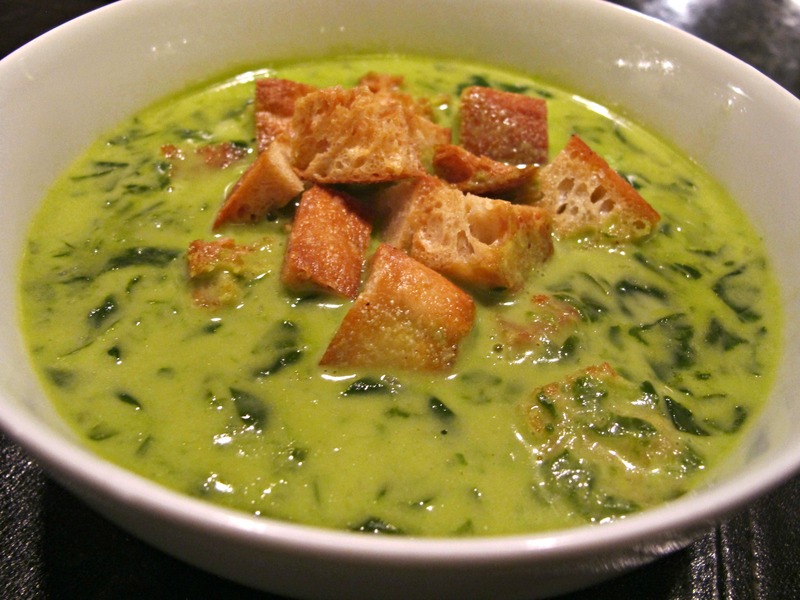 Mix in the spinach leaves well and, using an immersion blender, puree the soup until it is as smooth as you would like. 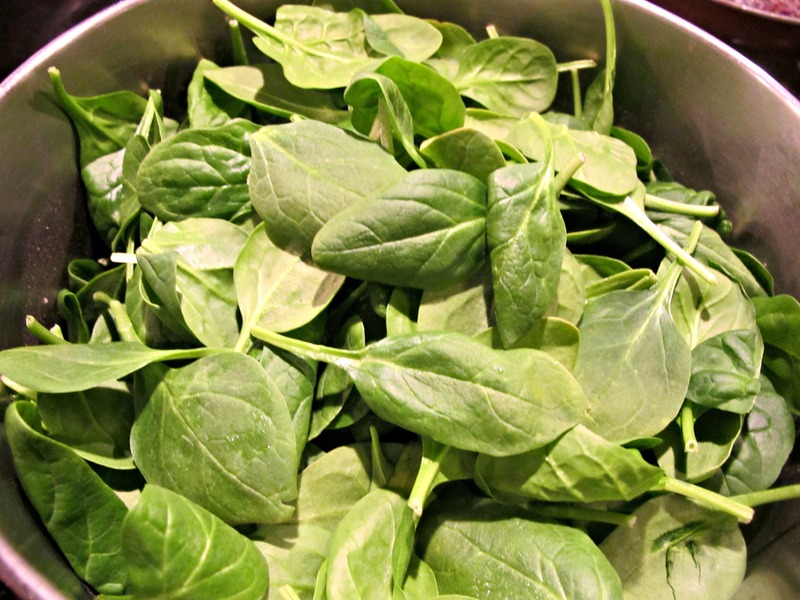 I like to leave some of the texture of the spinach. You could also use a regular blender or a food processor. Add the cream along with the salt, pepper, nutmeg and anisette liqueur. Stir them in well. Adjust the seasonings to your taste and serve. Garnish with some croutons and/or Parmesan cheese. This looks delicious and perfect for the horrible cold weather we’re having!